With the batch of HDD digital video cameras such as Hitachi DZ-HS500E we can provide recovery of Hard Drive filming that has been deleted accidentally. This may have been by re-formatting the camera or just deleting the video images. Do not continue to use the camera and email or call us straight away for a quotation. The videos that are recovered are saved to a USB flash memory stick. Timescale usually 1-2 days from receipt. We have recovered many Wedding and Birth videos and saved many marriages as a result! 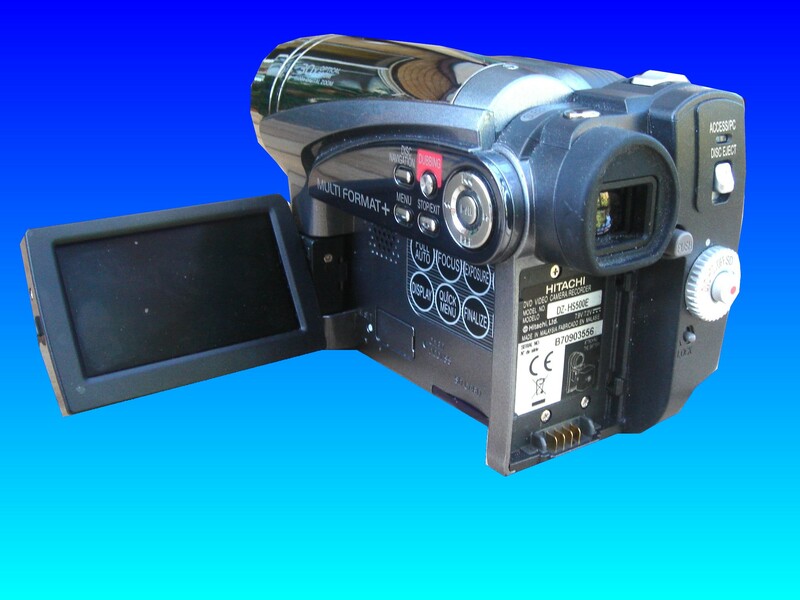 If you need a Recover Deleted Video from Hitachi Hybrid DVD HDD Camcorder service, then contact our friendly company. With the batch of HDD digital video cameras such as Hitachi DZ-HS500E we can provide recovery of Hard Drive filming that has been deleted accidentally. This may have been by re-formatting the camera or just deleting the video images. Do not continue to use the camera and email or call us straight away for a quotation. The videos that are recovered are saved to a USB flash memory stick. Timescale usually 1-2 days from receipt. We have recovered many Wedding and Birth videos and saved many marriages as a result!.